Obituary for MURIEL J. 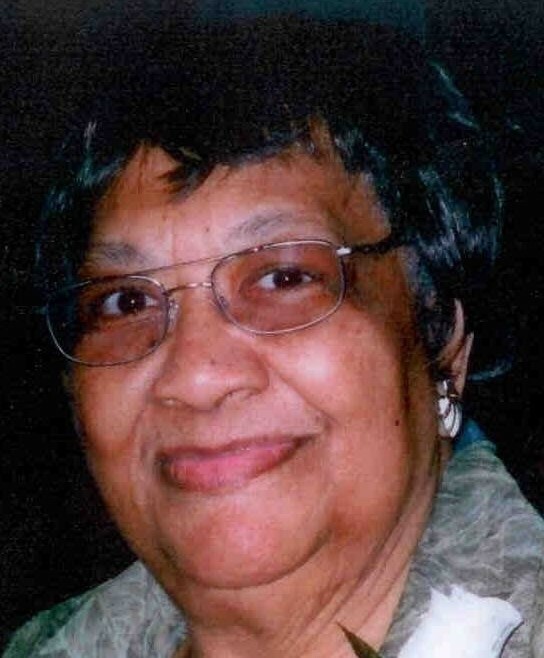 (WOODSON) LEE | Beverly C. Draper Funeral Home, Inc.
Mrs. Muriel J. Lee passed away at Bon Secours Maryview Nursing Care Center, Suffolk, VA on 25 November 2018 after a lengthy illness. She was 89. Mrs. Lee was born on 29 August 1929 in Belle Vernon, PA to her parents, James and Marjorie Woodson. She was a 1947 Graduate of Belle Vernon High School. She worked for many years at Mayview State Hospital as a Mental Health Professional and moved to Hampton Roads Virginia in 2002 along with her daughter Ms. Karen Lee of Monongahela, PA.
Mrs. Lee is survived by her brothers Louis Woodson and sister-in-law Barbra Woodson of Monessen, PA, Dale Woodson and sister-in-law Roberta Woodson of Fairfax, VA, daughter Karen Lee of Hampton, VA, sons Robert Lee and daughter-in-law Cristina Lee of Orlando, FL, James Lee and daughter-in-law Viveca Lee of Suffolk, VA. Granddaughters Shawnda Joynes and husband Terrance Joynes of Portsmouth, VA, Stephanie Lee of Tampa, FL and Alexandra Lee of Orlando, FL. Two Great Grandchildren Terrence and Sidney Joynes of Portsmouth, VA and a host of cousins, nieces and nephews. She is preceded in death by her husband Ernest Lee, brothers James and Robert Woodson. Viewing by family and friends will be held at Holy Tabernacle COGIC, 503 Sixth Street, Monongahela, PA 15063 on Friday, 30 November, 2018 5:00-8:00 PM and Saturday, 1 December 2018 from 10:00 - 11:00 am. funeral services will begin at 11:00 officiated by Bishop J. Richard Bass, Sr. at the same location. Mrs. Lee will be buried in Mon Valley Memorial Park, Donora, PA. All are welcome to attend and celebrate Mrs. Muriel Lee’s life.